1. What does All-Natural mean? 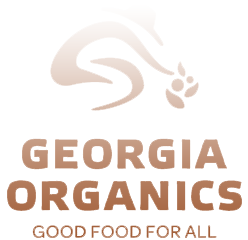 The USDA definition of natural is a product containing no artificial ingredient or added color and is only minimally processed. Minimal processing means that the product was processed in a manner that does not fundamentally alter the product. At Bear Creek Cattle Company, we go beyond the USDA definition of natural. We do not administer any growth hormones to our cattle – EVER. We do not administer low levels of anti-biotic through our feed – EVER. We do not use topical insecticides on our cattle – EVER. And during processing, there are no additional fillers or by-products added to our beef – EVER. We feed our cattle an all vegetarian diet of grass and grain. We NEVER use any animal by-products in our feed. You are ensured that you are buying a truly All-Natural product and it’s 100% Beef. 2. If an animal is injured or becomes sick on your farm and needs anti-biotic would you administer it? Absolutely. At Bear Creek Cattle Company we take many steps to ensure our animals do not get injured and do not become sick. We administer preventative vaccines on schedule every year. We use rotational grazing to keep the pasture environment clean. We never over-crowd our pastures. We are a family and a company that cares for the land and for the animals. In all aspects animal welfare is our top priority. If an animal were injured or became sick and we deem it necessary to use anti-biotic to aid in the animals recovery, we identify that animal at the time of administration and remove the animal from the beef program. 3. What does “Dry-Aged” Beef mean? Dry aging occurs while the beef is hanging in a refrigerated cooler, at a specific temperature and humidity. All Bear Creek Beef hangs for a minimum of fourteen days after harvest and prior to cutting. When beef is dry aged two things occur. First, moisture evaporates from the meat creating a greater concentration of beef flavor giving you that rich Bear Creek Cattle Company taste. Second, the beef’s natural enzymes break down the fibrous connective tissue within the muscle. The most tenderizing activity of dry-aging occurs in the first fourteen days. This is why all Bear Creek Cattle Company beef is aged for this selected period. In the old days all beef was dry aged. With modern advances in commercial production we have lost dry aging in normal commercially produced beef. 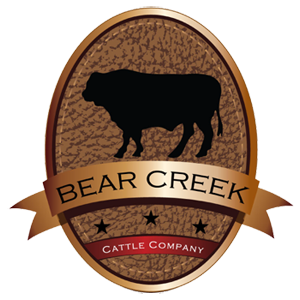 The Bear Creek Cattle Company brings this time honored tradition back with our beef to ensure you get the highest quality possible, not just a quickly produced product. With moisture loss of up to 20% of the original weight during the dry-aging process, the sellable poundage is reduced. This weight loss does raise the cost of production slightly, however because you are paying for beef poundage rather than the water contained in commercially produced beef, you will see less shrinkage during the cooking process. In short, you get more for your money with Bear Creek Cattle Company beef. 4. Why do we choose to finish our beef using grain? We are often asked what the difference in grass fed and grain fed beef is. 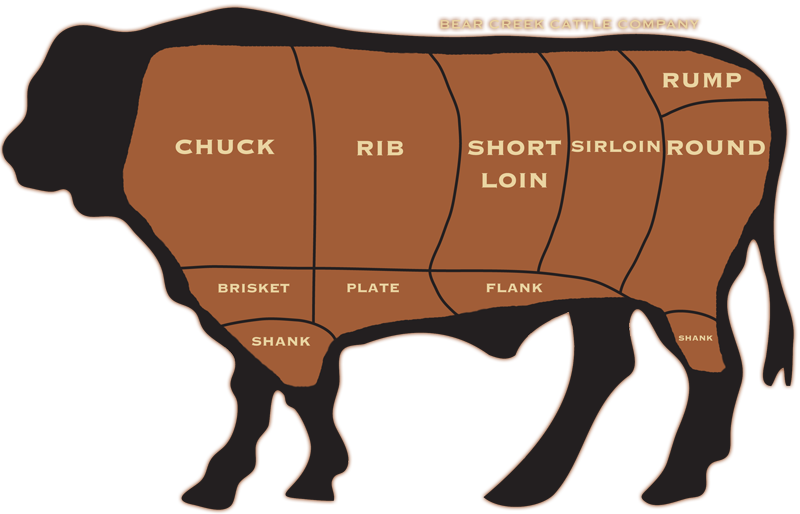 Bear Creek Cattle Company beef is not a true representative of either traditional model. We found that society has begun to shy away from the commercially raised “feed lot” beef. This is for quite a number of reasons. In commercially produced beef growth hormones are commonly used to improve growth rates, low level anti-biotic are feed to all cattle to maintain health in over-crowded situations, feed efficiency additives are used in the feed to make cattle more efficient and cost effective on grain. Many people seeking a safer food source decided to seek out a healthier alternative to a commercially produced beef. The trend for “100% grass fed” beef has been very popular. However, as we interviewed customers we found they were seeking a wholesome product for their family, but they often dissatisfied with a purely grass fed beef product. They said that “100% grass fed” beef was too lean and did not offer the rich, full flavor and marbling that they were used to in fine steak houses. So, Bear Creek Cattle Company designed a hybrid model utilizing all of the old-time methods of raising cattle on open grassland and pasture and adding a finish phase of fine grains. This combination produces a well-marbled beef with rich, full flavor that fulfills all the health aspects that our customers demand. All of these factors combined with the ability for our customers to buy local. You can visit the farm to see the environment our cattle are raised in and how your food is produced. 5. I’m interested in buying in bulk. Could you explain the pricing and the process? We offer a substantial discount when purchasing our beef in quantity (quarter, half, or whole beef). Our pricing structure is based on carcass weight (cwt) or it is often referred to as “hanging weight”. The carcass weight is determined at the processor and we have found it to be the most accurate way of pricing. Every beef that is processed is unique and will have a slightly different cut ratio due to the bone size of that individual. *one factor the influences our cut ratios is the “dry-aging” process. The time period from carcass weight to packaged beef, the beef undergoes this process and you lose moisture weight. We believe the quality gained far outweighs the weight loss, and there is typically less shrinkage on the grill as the moisture hs already been reduced. We must pair enough customers to comprise the whole beef prior to processing. 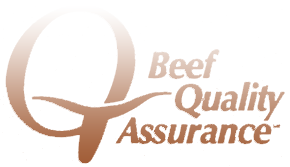 Our bulk purchasing option is very popular and we are often able to pair customers together within a reasonable time frame. Once your beef is scheduled at the processor it will be available for pickup approximately 16 days from the day the steer is delivered. We will contact you and let you know the pickup date adequately in advance. We ask our customers to please make arrangements to pick up the beef on the date it is ready. Any beef left longer than five days will be sold to the next customer on our waiting list and you will be rescheduled for your beef. 6. When purchasing in bulk can we offer custom instructions for processing? When purchasing the half or whole steer, almost everything is subject to customization to your specifications. We will process your beef with steaks of your desired thickness. We will go over cutting instructions prior to processing to allow flexibility in your finished product. You may optimize the number of roasts you receive or maybe you prefer more ground beef for grilling? Choice is yours! When purchasing the quarter beef we more often offer a “standard” cut. In this scenario, there is generally two customers splitting the side of beef into the two quarters. We divide all cuts of beef equally no matter where it comes from in the steer, to ensure you get the best sampling of all. Below you will find a breakdown of what to typically expect in a quarter beef “standard” cut. STEAK: 5 of each type of steak (Filet, Ribeye, NY Strip, Sirloin, Sirloin Tip) and several strip and there are also 2 flank steaks and 1 hanger steak in the whole cow. ***This is based on a cut of 2" Filet Mignon and all other cuts at a hearty 1" thick. SHORT RIBS: Usually about 4-5 lb. CUBE STEAK: Varies based on preference, but typically 5 lb. STEW MEAT: Varies based on preference, but typically 5 lb.